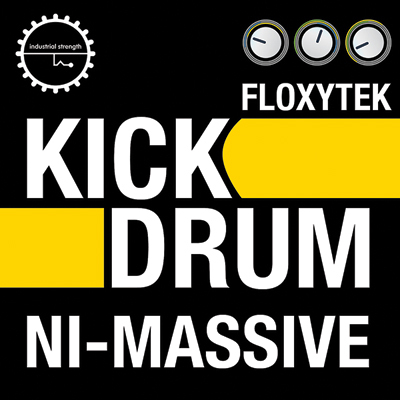 ISR and Floxytek deliver Kick Drum Massive, a rock-solid preset collection for NI Massive. With more than 60 Kick Drum Presets, this killer pack is ready for extreme punishment. Sound designer and electronic music producer Floxytek is the studio wizard behind a series of popular ISR packs such as EDM Production Kits, EDM Sylenth and EDM Massive. Now Floxytek turns up the heat by turning his attention to the number one element in every track: the almighty kick. We all know it, love it, and love to hate it, for if the kicks aren't perfect, it's game over. Kick Drum Massive joins our collection of niche packs to sit among the likes of ear bending packs such as Climb, Drop, Sweep, Rewind, Bomb, Droneand Lazer.